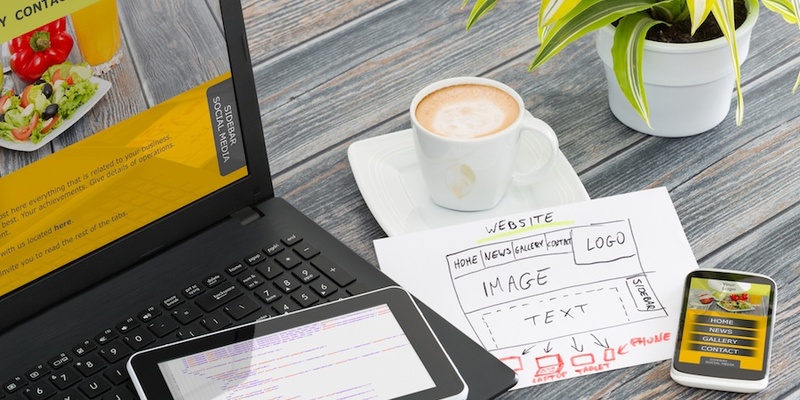 How many of our readers have enjoyed the process of redesigning a website? Great, two of you. The truth is that most people dread having to redesign their site. Between the large amount of upfront costs, time and lack of results, it's no surprise you put off redesigning a site every 2-3 years or sometimes even more. It doesn't have to be this way, though. There is a smarter approach to designing websites, and it’s called Growth Driven Design (GDD). I’ll go over the tools that Weidert Group finds beneficial, and feel free to sound off in the comments below about any tools you have found helpful. First, let’s briefly talk about GDD. We’ve written about GDD before, but in case you missed it, here is a quick overview. GDD has three main stages: strategy, the launch pad and continuous improvement. First, in the strategy phase, you develop how your website can solve your user’s problems. Second, in the launch pad phase, you build a website that looks and performs better than your current site, but it’s not a final product. The launch pad is the foundation on which you build and then later optimize in step 3—continuous improvement. Launching a site using GDD is faster, cheaper and achieves better results. This isn’t an article about GDD though; it’s about the tools you can use in the GDD process to help you and your team. These tools aren’t necessarily for everyone, and you need to come up with your own toolbox for the way you and your team work best. I overviewed HubSpot in my very first blog post for Weidert Group. HubSpot is a content optimization system where you can build your website similarly to a content management system, but it also has marketing, lead management and a suite of metrics. It’s the best of everything all in one place. Why should HubSpot be a part of your GDD toolbox? Hotjar allows you to see how visitors are actually using your site by collecting feedback in all sorts of ways. This tool mainly uses heatmaps (click, move, scroll, download and share, and by device) which will visually represent behavior on your site. Do you want to see how many users scroll below the fold on your site? Are users clicking on something that isn’t a link or a button? Hotjar provides insights you wouldn’t get unless you were implementing over the shoulder UX testing, only they don’t even know you’re there. Creepy. Hotjar also allows you to break down metrics by country, OS and device type, helping to fix UX issues. Finally, Hotjar also integrates with the HubSpot contact timeline, will show conversion funneling, and offers polling surveys that you place on your site. Frankly, it’s fascinating and I would highly suggest you check it out. Ever climbed a mountain? Yeah me either, but mountaineers have these things called base camps that are used to prep and stage each leg of the climb. Basecamp is a project management web app that does the same, only for projects. You can store all client files, communications, and to-dos in Basecamp and keep projects separated along the way. It puts everything in one place instead of using separate tools for each part of your project. Weidert Group is currently on Basecamp 2 but Basecamp 3 has loads of new features like Campfire (chat), desktop push notifications, automatic check-ins, and multiple date and assignment to-dos. Yodel-le-he-hoo. I am sure most readers have used Google Docs or at least have heard of it. Google docs allow you to take your documents anywhere and access them at any time, on any device. It’s also collaborative so a team can make edits at the same time and you can view those edits in real time. You never have to worry about hitting save, or making sure someone is viewing or editing the most recent file. It’s also compatible with Microsoft Office so compatibility is not an issue. Best of all, it’s free. Slack is a messaging and chat system that allows for real-time communications. It allows you to organize by channels to keep topics on point. It also allows you to send direct messages and make voice or video calls. You can connect other tools like Google Drive, Dropbox, Twitter, and Databox, just to name a few. Finally, the best part is that all of the conversations and any documents are completely searchable, allowing you to find threads, conversations and documents easily. Spending too much time putting together metric reports for your clients or yourself? Databox allows you to pull multiple data sources (Google Analytics, HubSpot, Facebook, Twitter, Zendesk, Wistia, Salesforce, Moz, and many, many more) into one application and then allows you to create beautiful reports using a drag and drop designer widget without code. You can personalize metrics from each source and access them anywhere including on your mobile phone or smart watch. The free plan starts with daily data refreshes, and paid versions allow hourly refreshes or even custom real-time data. Gone are the days of looking at metrics every few months. Instead, you can address successes or problems in borderline real time. These are tools we use here at Weidert Group, but as I said earlier, you will need to find your own set that works best for you and your team. Every team and project will be different, but the sooner you can create a launch pad website using GDD the sooner you will reap the rewards of client successes. These tools can help you get there. Hopefully you found this post beneficial. I would be interested in hearing any other tools our readers are using in the comments below.